Unpasteurised. Suitable for vegetarians and vegans.Malt: Pilsner Yeast: Bavarian Lager Yeast Kettle Hops: Perle & Hallertauer Tradition What the Hells? Thanks for asking. 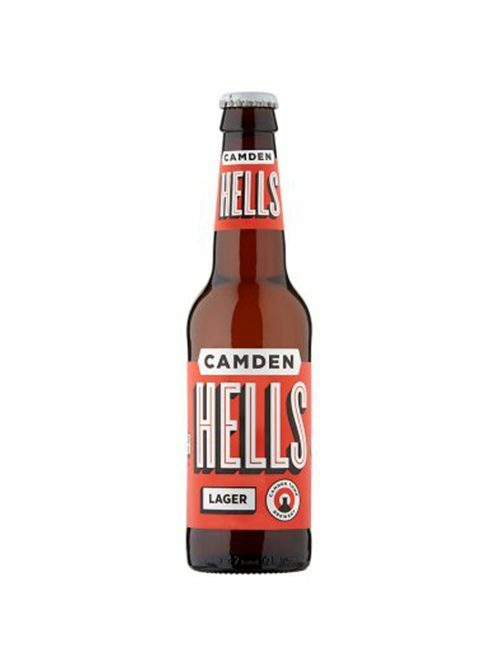 Hells is the love child of our two favourite German beer styles – Helles and Pilsner. Clean, crisp and dry, it’s the beer we always wanted to drink and the reason we started our brewery. We hope you agree. From their modern brewery in north London, Camden's Pale Ale combines the easy-drinking tradition of British beer with the bold, hoppy flavours of American pale ales. The result is a refreshing beer with a twist of tropical fruitiness and moreish bitterness.